an example I've tried to be. to that warm and loving light. and I hope you'll always know. Where ever you may go. and know that I love you too. you'll let me go today. On January 16, 2019 God called our beloved daughter, mom, sister, aunt, cousin and friend from labor to reward. She was born on July 20, 1959 to the late Cleo and Ethel Mae Madison. At an early age she accepted Christ as her Savior, and she cherished her walk with him for the remainder of her life. She attended church at New Beginnings Worship Center in Dothan Alabama. 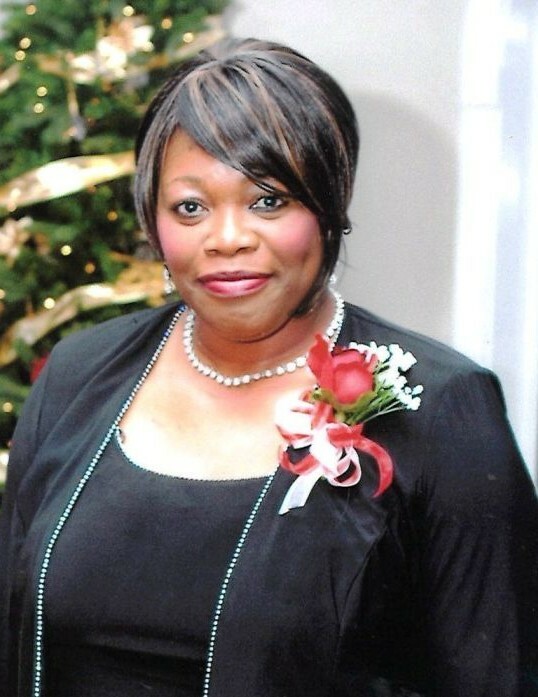 Donella worked at Flowers Hospital faithfully as a Housekeeping Supervisor for thirty-five years; and she worked for Marcus Carroll Janitorial Services for thirteen years. Sister Donella Carroll was preceded in death by her parents: Cleo and Ethel Mae Madison; one sister: Glory Jean Dean; three brothers: Henry Madison, Cleo Madison, Jr. and Robert Earl Madison; and father-in-law J. D. Carroll, Sr.
She leaves to cherish her memories: husband, Marcus Carroll of thirty-two years; loving daughters: Jessica Carroll (Jeff) Dawsey of Palm Coast, Florida, Charity and Gloria Dean both of Dothan, Alabama; two grandchildren: Judah Alexander Dawsey and Arielle Butler; one grand-dog Precious Faith; sister and brothers: Gracie Lee Mitchell of Orlando, FL, Ernest (Peggy) Madison and Willie Frank (Patricia) Madison all of Orlando, Florida, Lester (Johneice), and Don Madison all of Slocomb, Alabama; mother-in-law: Lizze Carroll; sisters-in-law: Francis Madison, Mary Dean Magwood, Willie Faye Jones, Geraldine (Carl) Fields, Carolyn (Thomas) Reynolds and Margie Carroll; one brothers-in-law: Johnny Ray Carroll; numerous nieces, nephews, cousins and friends. A special thank you to family and friends: Nettie B Peterman and Mr. Walt of Nettie’s Precious Private Home Care; Mrs. Sylvia Collier and Mrs. Darlene and Mr. David Schmucker.